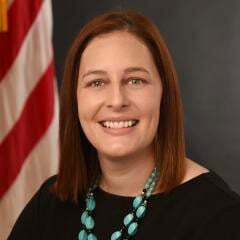 Genevieve Morris resigned Friday as interim chief health information officer for the Office of EHR Modernization at the Veterans Affairs Department. John Windom, executive director for VA EHR Modernization, will take over the post. Morris' tenure at the helm was brief. The VA launched the office only a little over a month ago to oversee the $16 billion replacement of its homegrown electronic health record with one made by Cerner. In her resignation letter, which she submitted Friday morning and later posted to Twitter, Morris cited a change in direction as a reason for leaving. "It has become clear to me that VA's leadership intends to take the EHR modernization effort in a different direction than we were headed," she wrote. The VA, in response, thanked Morris "for her service" and wished her well. Otherwise, there was little immediate and direct response to Morris' tweets, though Dr. Robert Gergely, founder of MedicalPassport.com, wrote, "Some resignations are welcome and praised by all stakeholders. This one is a blessing." Morris is not the only person to resign in the midst of the Cerner switch. VA CIO Scott Blackburn quit in April, a month before the contract was officially signed. Before joining the office, Morris was principal deputy national coordinator for HHS' Office of the National Coordinator for Health Information Technology. Earlier, she was with health IT policy firm Audacious Inquiry. She did not say where she's headed next.